We are looking for individuals who have a solid knowledge and operational understanding in F&B Operations. The candidates must have good business acumen, a strong work ethic and people-management and facilitation skills. In addition the candidate must have strong leadership and interpersonal skills, are able to prioritise and adapt to the changing needs of the operation. 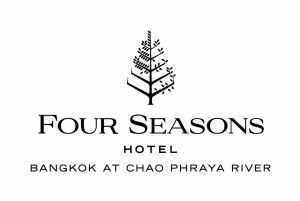 Three to five years previous experience in multiple food & beverage department head positions, preferably Four Seasons or other luxury environment. College degree preferably specializing in hotel/restaurant management or equivalent experience is required. Requires ability to operate computer equipment and other food & beverage computer systems. Assistant Director of F&B who have strong leadership and interpersonal skills, are able to prioritize and adapt to the changing needs of the operation and can evidence having a solid work ethic, good business acumen and a passion for service. Who works across disciplines to deliver an exceptional experience and manages the F&B office in coordination with DOFB. Candidates must have a firm knowledge of the local market and effective communication skills in both speaking and writing English and Thai is required. Must hold the legal right to work in Thailand. As the leader of the Food and Beverage Division, the Assistant Director of Food & Beverage, works across disciplines to deliver an exceptional experience and provide leadership. As the ideal Assistant Food and Beverage Director you can make your mark to ensure that our guest leave with lasting memories. The Assistant Director of Food and Beverage plans, organizes, directs and controls the work of employees and managers in the in the Food & Beverage Division in coordination with DOFB while ensuring exceptional service and attention to guests. The position reports to the DOFB. Coordinate the selection, training, development, and evaluation of employees and managers in the Food & Beverage Division through effective management and leadership to ensure that established cultural and core standards are met; long-range strategic planning for outlet operation. The ability to be visible in the operation, recognize and maintain relationships with regular guests as well as cultivate relationships with new patrons through effective marketing and personal relationships. The ability to work closely with the Hotel Manager on design of effective menus, wine lists, and amenity options while ensuring excellent product quality at a fair price. Communicate with employees and managers to ensure operational needs are met as well as attend regular operational meetings to ensure effective coordination and cooperation between departments.